Congratulations to her on her Grape Escape. I’ve heard of a number of clever successful designs on the egg drop problem, but hers is the prettiest! Congrats to Younger Daughter in the continuing run up to a career as a devious and brilliant engineer. 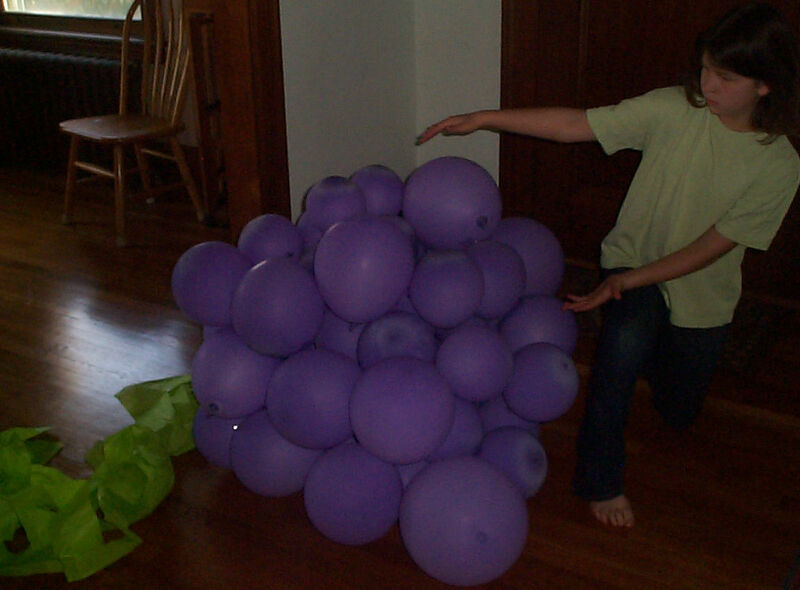 Well, you know me and grape motifs! Belated kudos to your daughter on this very amusing approach to egg protection. I’ve seen a lot of egg-drop experiments, but I’d have loved to see this one. The image of the gently floating bunch of grapes had me laughing out loud. I’m glad to hear the egg survived it’s elegant journey!